Jennie Lee’s call to make ‘Britain a gayer and more cultivated country’ is revealing. It is, perhaps, calling to make more people more cultivated in officially sponsored forms of official culture. Revealingly, Lee once said that ‘“if the world was made in my image it would be perfect”’, a position that Lawrence Black suggests she concealed ‘in favour of emphasising her “function is merely a permissive one”’ – she ‘played the populist’ (Black, 2006, p. 329). Critically, for Black, Lee’s defended ‘public spending on minority, elite pastimes’ by claiming that ‘improving access to them might have a cultivating trickle-down effect or therapeutic value, combating commercial, mass, American, popular culture’ (ibid. p. 330). She was clear that ‘“before we arrogantly say that any group of our citizens are not capable of appreciating the best in the arts, let us make absolutely certain that we have put the best within their reach”’ (ibid.). This was Lee mirroring the state’s wish to project a liberal tone - ‘permissive not prescriptive’ (ibid. p. 331). Her assertion that ‘“we should be trying to bring the best within reach of all; but at the same time. . . broadening of opportunities should not lead to a lowering of standards”’ was, for Black, a case of maintaining, as Keynes had previously, the ‘equation of culture, civilisation and “high” Western art’ (ibid. p. 331-332). Black, L., 2006. 'Making Britain a Gayer and More Cultivated Country': Wilson, Lee and the Creative Industries in the 1960s. Contemporary British History, 20(3), pp. 323-342. Davey, A., 2012. Great Art for Everyone: Is There a Point? You Bet!. [Online]Available at: http://www.huffingtonpost.co.uk/alan-davey/great-art-for-everyone-is_b_2231085.html [Accessed 11th February 2015]. Duffy, S., 2015. Jennie Lee White Paper Anniversary – 25th February 2015. [Online] Available at: https://stelladuffy.wordpress.com/2015/02/10/jennie-lee-white-paper-anniversary-25th-february-2015/ [Accessed 11th February 2015]. Efunshile, A., 2015. The Legacy of Jennie Lee. [Online] Available at: http://blog.artscouncil.org.uk/blog/arts-council-england-blog/legacy-jennie-lee [Accessed 25th February 2015]. SELF-ORGANISING AND THE COMMONS: SUSTAINABLE CREATIVE SPACES? Anyway, the three presentations are available online (by clicking the pics or links below) for comment, criticism, sharing, whatever… The first presentation features An Introduction to the Arts – a poem by the brilliant Luke Wright who kindly gave his permission and good wishes for my endeavours. Thanks Luke. Please view them with notes (bottom left corner) enabled so you can read my provocations (most of my slides are just pictures). 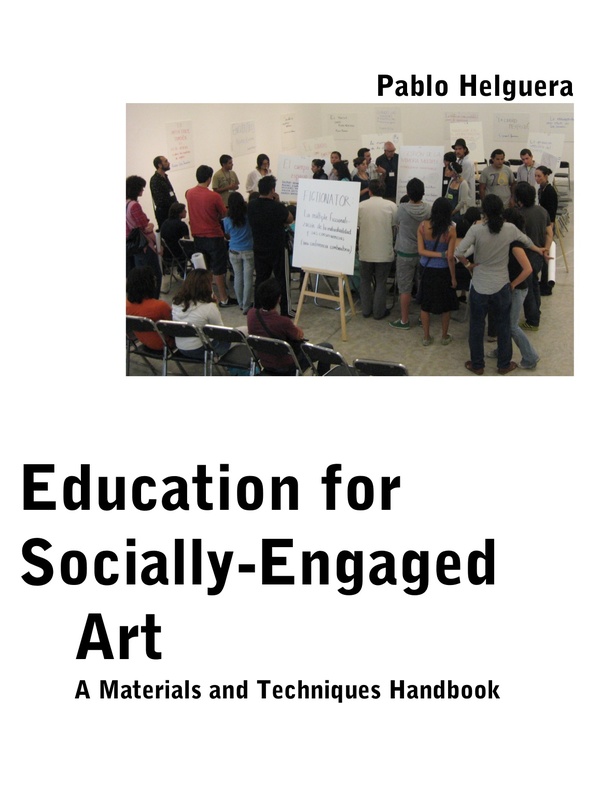 The academic discourse surrounding how and, indeed, if the arts might influence social change and the ‘intrinsic’ versus ‘instrumental’ questions (outlined in previous posts), cross into policy discussions about culture and value that perhaps shift the focus even further from the practice of socially engaged art and, for that matter, the arts in general. This section begins by returning to Matarasso’s later work as an illustration of how present policy discussions centre on the concept of ‘cultural value’ rather than ‘social impact’ or ‘social change’. In 2012, Matarasso wrote On ‘The very idea of measuring cultural value’ in response to the burgeoning ‘cultural value debate’. He is critical, in his essay, about ‘value’ being perceived as ‘good’ even though ‘human beings do not agree on what is good’ and, if there is no definition of good, potential value cannot be measured (Matarasso, 2012). This ‘slipperiness’ about cultural value, for Matarasso, creates opportunities for tacit positions to go uncontested. Differing in emphasis from his position in Use or Ornament?, Matarasso extols arts and culture as ‘necessarily experiential’, existing ‘only in the intertwined experience of creator (artist, performer, author, maker) and re-creator (audiences, readers, viewers and listeners)’ (Matarasso, 2012). He believes that the ambiguity of the arts means it cannot be considered to have any ‘universal character, method, purpose, meaning or even existence’ and therefore ‘no universal value (good), unless one associates it with a universal deity’; cultural value cannot therefore ‘be measured against a universal scale’ nor can the effects of culture ‘be tested or replicated, except in certain limited terms’ (Matarasso, 2012). In this essay, Matarasso is stating a direct opposition to a policy position he was once demonised for supporting, if not creating: no longer the champion of instrumentalism; now a firm believer in art’s intrinsic nature. The ‘cultural value debate’ has continued developing apace since Matarasso wrote the aforementioned essay. There are new initiatives appearing in the UK almost every other month at present. A brief overview of the stated aims and objectives of the key current initiatives around cultural value is therefore essential to understand how socially engaged art relates to this debate and its broader future policy implications. ‘seeks to establish a framework that will advance the way in which we talk about the value of cultural engagement and the methods by which we evaluate that value. The first part of the framework will be an examination of the cultural experience itself and its impact on individuals and its benefit to society. The Project will take as its starting point the different forms of cultural experience, such as, for instance, the aesthetic and cognitive dimensions of our cultural encounters… In giving priority to the cultural experience itself, the Cultural Value Project will take the lead in developing a rigorous approach to what many see as the most important aspect of art and culture’ (AHRC, 2013). ‘the very existence of a set of cultural policies is predicated on the notion of cultural value, and the belief in the social importance of its preservation and nurturing… Yet, although how to articulate value is a central concern for cultural organisations in receipt of public funding… the sector finds it difficult to have a serious and honest discussion on the issue. As a result… the public debate on the value of the arts and culture has been intellectually colonised by the discipline of economics, at the expense of the humanities and social sciences’ (Belfiore, 2013). Alongside UNESCO’s research into measuring the economic benefits of arts and culture sits Measuring cultural participation (2012). It aims to develop ‘a conceptual foundation and a common understanding of culture that will assist the measurement of a wide range of cultural expressions – irrespective of any particular economic and/or social mode of production’ (UNESCO a, 2012, p. 8); it points to the ‘scientific measurement scale, the psychological general wellbeing index’ as a long-existing tool for measuring positive impacts of arts participation, irrespective of ‘artistic competence’ (UNESCO a, 2012, p. 9). But surely these are big claims to make, especially as the PGWBI is a generic psychological tool for measuring perceived wellbeing that does not measure any specific responses to either cultural activity or participation. Indeed, UNESCO go on to conclude that any attempt at even local standardisation will be difficult ‘[g]iven that most active participation tends to happen in a dispersed and uncoordinated way through small, often predominantly social, organizations that are neither recognised nor funded by governments as sustainable “institutions”’ (UNESCO a, 2012, p. 9). Is this international recognition that participation is independent and, if so, a territory to be colonised by new forms of instrumentalism? Certainly, the report’s authors identify ‘a disjuncture between three coexisting but fundamentally different sets of values – intrinsic, instrumental and institutional’ (UNESCO a, 2012, p. 10) and are perplexed by linguistic problems not just between different international interpretations of ‘participation’ but also between its active and passive forms of meaning (UNESCO a, 2012, p. 19). Measuring cultural participation makes clear that UNESCO are not interested in artistic quality nor ‘[o]pposed concepts and cultural hierarchies (active/passive, high/low, professional/amateur)’ (UNESCO a, 2012, p. 20). The report is also clear that participation can only be understood ‘in a meaningful, wider context’ by investigating ‘a range of issues which can be understood only by using qualitative methods’ (UNESCO a, 2012, p. 49). The report concludes that no single ‘standard’ model will be able to describe ‘[t]he inter-relationships between cultural participation, participation as a whole, social inclusion and civil society’; attempts to measure participation in cultural activities must therefore use local ‘lenses and tools’ based upon ‘[s]cientific findings’ presented ‘in the best and widest possible way to encourage effective policies’ (UNESCO a, 2012, pp. 73-74). A crisis of the legitimacy of cultural value was identified back in 2006 by Holden. He argued this could only be addressed by creating a democratic consensus through better and broader arguments about the value of culture that politicians could understand and support (Holden, 2006, p. 9). He explained that cultural value has three forms - ‘intrinsic value, instrumental value and institutional value’ – and is ‘created and “consumed”’ in ‘a triangular relationship between cultural professionals, politicians, policy-makers and the public’ (Holden, 2006, p. 10). The solution lay, for Holden, in creating ‘a different alignment between culture, politics and the public’ that nurtures ‘greater legitimacy directly with citizens’ (Holden, 2006, p. 10). But it would appear that, since then, cultural policy and cultural value have, in fact, moved further away from people outside a very narrow sphere of the arts, into a highly professionalised world of ‘cultural leaders’ and ‘public policy-makers’. O’Brien’s 2010 report to the DCMS, Measuring the value of culture, warned that ‘the cultural sector will need to use the tools and concepts of economics to fully state their benefits in the prevailing language of policy appraisal and evaluation’ (O'Brien, 2010, p. 4). His report argues for increased state instrumentalism as well as an adoption of economic measures delivered ‘using the language of public policy and cultural value’ because only can ‘funding decisions… be made that are acceptable to both central government and the cultural sector’ (O'Brien, 2010, p. 5). Whilst acknowledging the value of narratives as useful in articulating cultural value, O’Brien warns they ‘fail to represent the benefits of culture in a manner that is commensurable with other calls on the public purse’ (O'Brien, 2010, p. 9). His stringent solution: find a way of fitting ‘the unique aspects of culture, outside of the social and economic impacts, into the economic language of the welfare economic paradigm suggested by the guidance in Department for Culture, Media and Sport in the Green Book’ (O'Brien, 2010, pp. 16-17). He concludes by requesting that the DCMS ‘rectify this issue by producing detailed guidance on measuring cultural value with stated preference techniques, making it clear that this will be the standard approach to valuation for central government’s consideration of policy for the cultural sector’ (O'Brien, 2010, p. 48). The voice of public policy abounds. 'When we talk about the value of arts and culture, we should always start with the intrinsic – how arts and culture illuminate our inner lives and enrich our emotional world… But while we do not cherish arts and culture because of the impact on our social wellbeing and cohesion, our physical and mental health, our education system, our national status and our economy, they do confer these benefits and need to show how important this is… on different scales – on individual, communal and national levels – so that we can raise awareness among the public, across the cultural, educational and political sectors, and among those who influence investment in both the public and private sectors… to help people think of our arts and culture for what they are: a strategic national resource… [and] to see where the impact of our work is felt, and where we don’t yet reach’ (Arts Council England, 2014, p. 4). 'Those who had attended a cultural place or event in the previous 12 months were almost 60 percent more likely to report good health compared to those who had not, and theatre goers were 25 percent more likely to report good health’ (Arts Council England, 2014, p. 7). 'We know that arts and culture play an important role in promoting social and economic goals through local regeneration, attracting tourists, the development of talent and innovation, improving health and wellbeing, and delivering essential services. These benefits are “instrumental” because art and culture can be a means to achieve ends beyond the immediate intrinsic experience and value of the art itself’ (Arts Council England, 2014, p. 11). The report does, however, warn that there is little evidence to support claims that ‘preventative interventions which use arts and culture to reduce the need for other public services’ do not, in fact, ‘demonstrate the associated reduction in public spending’ (Arts Council England, 2014, p. 23). ‘In creative placemaking, partners from public, private, nonprofit, and community sectors strategically shape the physical and social character of a neighborhood, town, tribe, city, or region around arts and cultural activities. Creative placemaking animates public and private spaces, rejuvenates structures and streetscapes, improves local business viability and public safety, and brings diverse people together to celebrate, inspire, and be inspired’ (Nicodemus, 2012). Bedoya is more cautious about the motives behind creative placemaking. His essay, Creative Placemaking and the Politics of Belonging and Dis-Belonging (2012), reminds practitioners to ensure they apply an authenticity and ‘ethos of belonging’ when working in this area to ensure residents ‘achieve strength and prosperity through equity and civility’ (Bedoya, 2012). Bedoya warns against a ‘build it and they will come’ culture based upon speculative economics as ‘suffocating, unethical, and [supportive of] a politics of dis-belonging employed to manufacture a “place”’ (Bedoya, 2012). He is at pains that creative placemaking must not become ‘a development strategy but… a series of actions that build spatial justice, healthy communities and sites of imaginations’ (Bedoya, 2012). Clearly then, creative placemaking, with its routes in policies aligned with regeneration and participation, may well always be a form of ‘instrumentalism-lite’ at best; a means of gentrification and state interventionism at worst. ‘the exquisitely ideological question of making the (political) case for the arts has been translated in the rather more technical (and therefore apparently neutral) issue of arts impact assessment, with the focus firmly on the methodological problems of evaluation rather than on thorny questions of cultural value, and the political problem of how to address the as of yet unresolved issue of widening access and participation to the publicly supported arts’ (Belfiore, 2012, p. 107). Linking the current cultural policy situation with that under New Labour, Belfiore unveils a ‘new guise of economic instrumentalism’ – a form of ‘“defensive instrumentalism” that leaves no room for a positive and constructive vision’ (Belfiore, 2012, pp. 108-109). Perhaps, then, debates about cultural value and instrumentalism reflect the complete 'commodification of public policy’ (Belfiore, 2012, p. 110). Yet none of these debates and policies ever mention socially engaged arts practice; participation is mentioned fleetingly and often incoherently. Whether art, or any other activity for that matter, can ever change contemporary society, has been and remains a source of much discussion. Whilst the arts perspective has been reviewed previously, other fields such as sociology, politics, philosophy, etc. have increasingly (perhaps because of state interventionism discussed previously) become interested in discussing this question from an arguably more academic perspective. This section reviews some of the key works about art and social change, starting with a deeply critical essay, Art and Social Change (2005). In Art and Social Change, Dillemuth et al. criticise many contemporary cultural and education institutions as being ‘nothing more than legal and administrative organs of the dominant system’; by taking part in these activities, we ‘internalise their values, transmit their ideologies and act as their audience/public/social body’ (Dillemuth, et al., 2005, p. 378). The socially accepted façade of these institutions purports to represent our society but hides the ‘dysfunctional relics of the bourgeois project’, encouraged by neoliberalism to ‘become even more obscure, more unreliable and more exclusive’; indivisible from the state (Dillemuth, et al., 2005, p. 378). The authors contest that the cultural and education sectors have betrayed their responsibilities to society that once claimed to be based upon ‘transparency, accountability, equality and open participation’ in favour of survival by submission to the state (Dillemuth, et al., 2005, p. 379). Their solution is self-organisation; their manifesto culminating in a call for a fluidly flexible, agile ‘non-identity’ that is ‘[m]utually reinforcing, self-valorising, self-empowering, self-historicising and, as a result, not compatible with fixed institutional structures’ (Dillemuth, et al., 2005, pp. 380-381). This is, perhaps, social change, radically reimagined. ‘the “negative tradition” – that is, the view persisting over time that the arts have a negative influence on individuals and society as a whole – resounds as strongly as the “positive tradition”, which maintains that the arts are “good for you” and which can be seen as predominant in today’s debates over cultural and educational policy’ (Belfiore & Bennett, 2008, p. 191). This sociological approach to appraising contemporary arts (and socially engaged) practice as being part of a long continuum is useful on the one hand, narrowly reductive on the other. Many works around cultural regeneration and place take a similarly neutral stance. For example, Erasing the Traces, Tracing Erasures portrays the cultural regeneration of Newcastle/Gateshead as a project which ‘by attempting to re-make the region’s image and, simultaneously, key into networks of mobile capital by courting the tourist market and disposable income of locals’ helped create a new arts landscape in which buildings like The Sage ‘simultaneously erase and evoke, eradicate and re-inscribe notions of cultural memory and belonging as it pertains to contemporary cities’ (Thompson, 2010, p. 56). Such viewpoints stem from Bourriaud’s oft criticised theory of relational aesthetics which disparages radical ‘[s]ocial utopias and revolutionary hopes’ and ‘everyday micro-utopias and imitative strategies’ because any position ‘that is “directly” critical of society is futile, if based on the illusion of a marginality that is nowadays impossible, not to say regressive’ (Bourriaud, 2002, p. 31). The Gifts of the Muse (2004) is a classic report about funding the arts as a means of ‘serving broad social and economic goals’ alongside an increased emphasis on the need for institutions to demonstrate the value of the arts; discussing potential instrumental and intrinsic benefits; recognising that intrinsic values are often neglected in favour of outputs and goals, even though they have a ‘central role… in generating all benefits deriving from the arts’ (McCarthy, et al., 2004, pp. xi-xii). McCarthy et al. make a coherent case that the arts are not valued by audiences and participants for their instrumental benefits but because they create meaning, pleasure and satisfaction which can lead indirectly to broader individual and community benefits (McCarthy, et al., 2004, p. xv). Sustained access to and involvement is essential to the report’s findings, as are three stages of access to the arts: ‘gateway experiences’ which are ‘most conducive to future arts involvement if they happen when people are young (that is, of school age, particularly pre-teen)’; ‘fully engaging’, high quality follow-on experiences that help ‘change individual tastes and enrich subsequent arts experience’; and ‘the intrinsic worth of the arts experience’ described as vital for long-term involvement in the arts (McCarthy, et al., 2004, p. xvii). The report’s authors contrast this perspective with the aforementioned list of instrumental benefits purported to ‘be an antidote to myriad social problems’, economically important, etc., critiquing the arts for using ‘the language of the social sciences and the broader policy debate’ as justification for their continued existence (McCarthy, et al., 2004, p. 1). In fact, McCarthy et al. are deeply scathing about evidence-based research on instrumental benefits, expanded beyond economics to include ‘cognitive, attitudinal and behavioral, and health benefits at the individual level, and social and economic benefits at the community level’ (McCarthy, et al., 2004, p. 7), noting that this research does not explain how participation in the arts generates these supposed benefits, nor does it ‘specify the circumstances in which benefits accrue, the populations most likely to benefit in such circumstances, and the level of arts involvement needed to generate benefits’ (McCarthy, et al., 2004, p. 21). They go on to suggest that methodological problems mean that many of the claims ‘about the arts’ instrumental benefits are unsubstantiated’ (McCarthy, et al., 2004, p. 33). In contrast, the authors explain that the intrinsic effects of the arts cannot be investigated using ‘the more objective view of the social scientist’ - a politically-driven ‘social science model that focuses on measurable outcomes’; the intangibility of intrinsic benefits being difficult (if not almost impossible) to accurately define (McCarthy, et al., 2004, pp. 37-38). The report also suggests that the modernist notions of aesthetics and ‘art for art’s sake’ has made art seem, to many people, ‘remote, esoteric, and removed from life’ (McCarthy, et al., 2004, p. 38). The Gifts of the Muse, also places a great deal of emphasis on the importance of introducing children to arts and other creative activities early in their lives (McCarthy, et al., 2004, p. 54); the authors contend that ‘most of the claimed learning and behavioral benefits are generated by arts experiences in schools’ (McCarthy, et al., 2004, p. 71). The importance of creative experiences to children is a point discussed further later in this chapter in relation to the works of D.W. Winnicott. There is a crucial debate that is often still referred to when questions of art and social change arise. It is essentially a disagreement about the potentialities of participatory art as a mode of effecting social change; predominantly a discussion about policy and methodology – two questions that are at the heart of much of the writing about socially engaged art and its practice. ‘Participation in the arts does bring benefits to individuals and communities. On a personal level these touch people’s confidence, creative and transferable skills and human growth, as well as their social lives through friendships, involvement in the community and enjoyment. Individual benefits translate into wider social impact by building the confidence of minority and marginalised groups, promoting contact and contributing to social cohesion. New skills and confidence can be empowering as community groups become more (and more equitably) involved in local affairs. Arts projects can strengthen people’s commitment to places and their engagement in tackling problems, especially in the context of urban regeneration. They encourage and provide mechanisms for creative approaches to development and problem solving, and offer opportunities for communities and institutions to take risks in a positive way. They have the capacity to contribute to health and social support of vulnerable people, and to education’ (Matarasso, 1997, p. 74). The report continued by extending the claims for the efficacy of participatory art in achieving positive ‘social outcomes’ because it is different from and superior to other forms of arts experiences (Matarasso, 1997, pp. 74-79). Matarasso warned that projects must be ‘well-conceived and managed’ to achieve positive social impact or they could otherwise produce ‘negative outcomes’ (Matarasso, 1997, p. 75). The report clearly suggested to New Labour policy-makers that the project of ‘social inclusion’ could be furthered by ‘a marginal repositioning of social policy priorities’ together with ‘a review of the cultural dimension of social policy by local authorities and other major agencies’ (Matarasso, 1997, p. 79). It also provocatively suggested that art purporting to either conjure ‘demons of social engineering and Soviet Realism’ or romantic notions of the ‘neurasthenic anti-hero, whose artistic sensibility requires protection from the pollution of modern life’, were positions ‘used by people who should know better to frighten us into our places’ (Matarasso, 1997, pp. 80-81). ‘Many of the 50 hypotheses are expressed as relationship between abstract concepts which are not observable, nor measurable. For example: participation in the arts "can give people influence over how they are seen by others", or "can help validate the contribution of a whole community", or "can help people extend control over their own lives", or "can help community groups raise their vision beyond the immediate”’ (Merli, 2004, p. 17). Furthermore, Merli criticised Matarasso’s questionnaire because it was not systematic, nor formulated to test his hypotheses, nor did it consider or attempt to control social desirability bias; she also attacked him for failing to adequately explore the likely duration of the results obtained or the social groups his participants belonged to (Merli, 2004, pp. 17-18). But it was not just Matarasso’s highly suspect collection and interpretation of data that Merli found wanting, she also questioned his interpretation of social change, claiming that he, along with other policy-makers and intellectuals, shared ‘a particular philosophical attitude towards society’; a ‘benevolent’ vision of ‘"new missionaries", who play guitar with marginalised youth, the disabled and the unemployed, aiming at mitigating the perception which they have of their own exclusion’ (Merli, 2004, p. 18). Contrasting this ‘revival’ of participation with the community arts movement, Merli found that, whereas ‘the original phenomenon was a spontaneous movement… directed to the expression of conflicts’ and devoted to achieving ‘emancipation and liberation from any form of social control… by means of artistic creativity’, Matarasso’s vision was a form of soft social control prescribed by the rich to anesthetise the poor (Merli, 2004, pp. 19-20). Merli’s proposed alternative to the prescriptive Use or Ornament? was itself, however, rather limp in its attempt to suggest areas for future research – many of which are still relatively unexplored by many socially engaged practitioners and projects to this day. Merli suggested that social impact assessment (an approach very much focused upon investigating the social effects of public policy), and interdisciplinary research (including the fields of psychology and sociology), could be useful methods of evaluating participatory art activities because they recognised the specificity of each intervention and offered a firm theoretical basis for future research in the field, as well as offering evidence about the effects creativity and perception on participants (Merli, 2004, p. 20). In Vygotsky and Sloboda, however, Merli chose to narrowly focus upon creativity based on contested social and cognitive psychological approaches with little to link them to creativity or the arts. She also described Bourdieu’s treatise on art as an elitist tool that reinforces social difference, Outline of a Sociological Theory of Art Perception (1968), as ‘a grounding theory for interesting research on the social impact of the arts’ (Merli, 2004, pp. 20-21). Nonetheless, Merli’s suggestion to utilise detailed interviews rather than questionnaires because they can help the researcher ‘understand - and not simply to measure - the ideas and the feelings of the interviewee’ (Merli, 2004, p. 21) is certainly of relevance to methods used in this research.